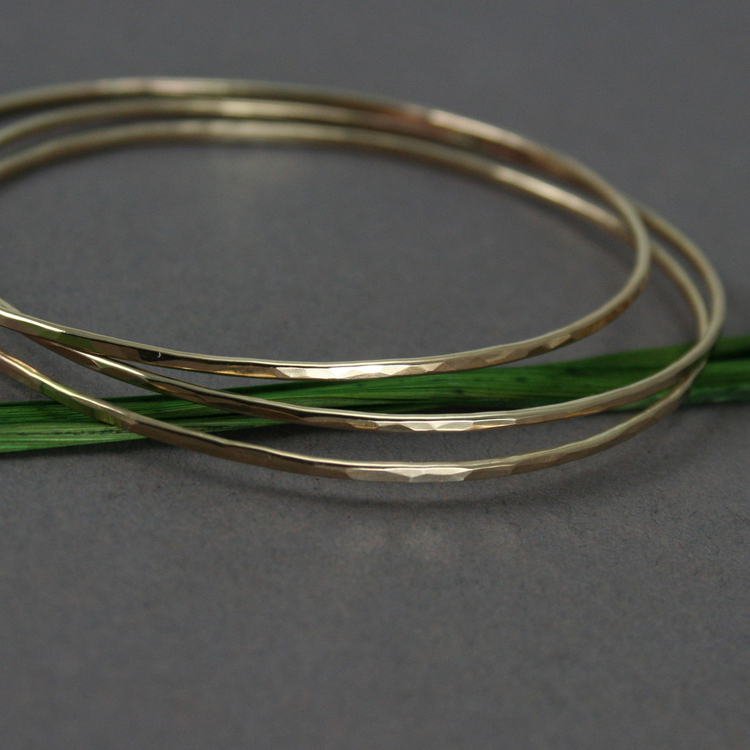 For the past 8 years every December I’ve been receiving an email from one of my clients about creating a special bangle bracelet for his wife Mary. 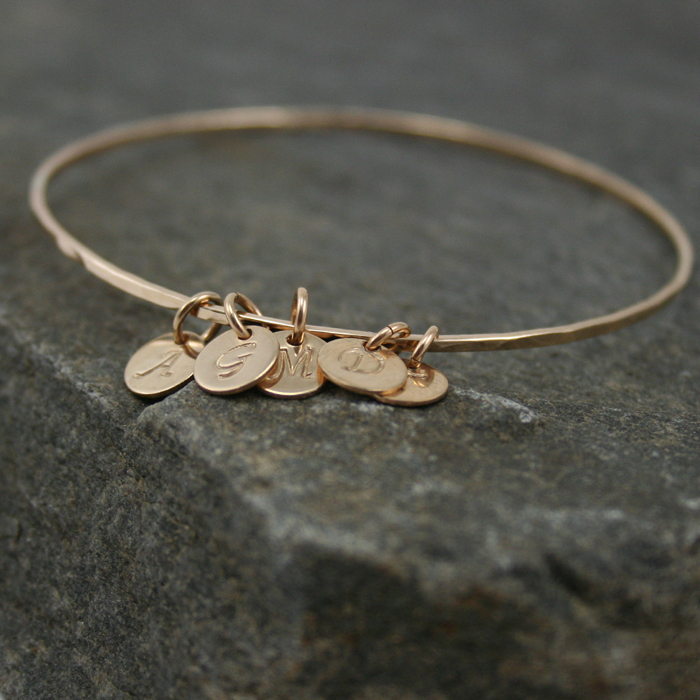 Each year Andrew wants to surprise his lady with a gold bracelet. Every time he wants a gold filled skinny bangle bracelet but each time he wants the bracelet to be slightly different than the last one. One year he wanted it with Mary’s initial, another time with a gemstone then the next time he wanted the bracelet to be finished with a different texture. 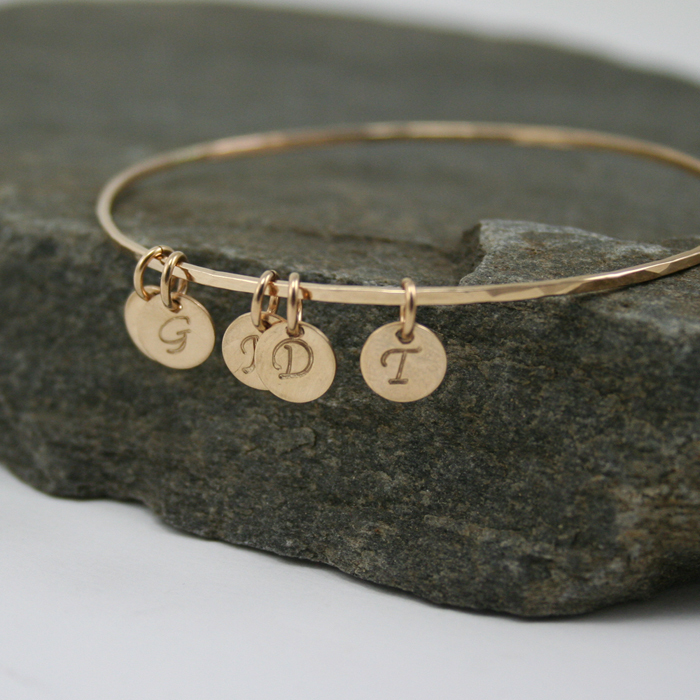 Then year after that Andrew requested a bangle with two initials of his twin boys. Each year different bracelet to celebrate wedding anniversary. I didn’t really ask many questions about this tradition, I didn’t want to be noisy and I was always happy and flattered to work with him and creating a special piece for his wife. The fact that last December was already the eight time Andrew contacted me I decided to ask. I am so glad I did because not only he was happy to share it with me, he also sent me this photo below which almost made me cry. 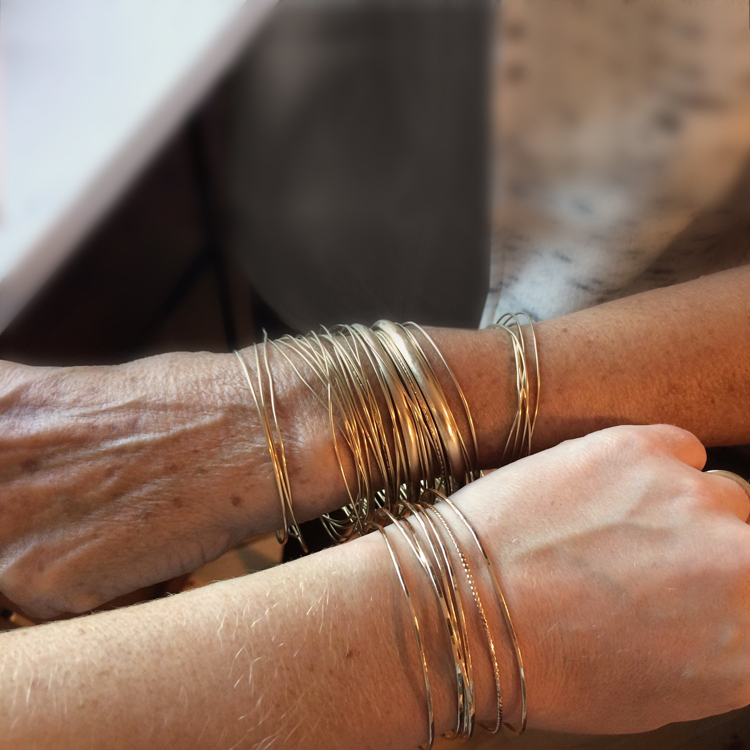 When Andrew and Mary got married 8 years ago they met an older lady who had 32 bangles on her wrist. Each of them was from her husband who was giving her one bracelet each year for their wedding anniversary. So Andrew and Mary really liked that idea and decided to start similar tradition on their own. I was the lucky jewelry designer Andrew had found searching the internet. 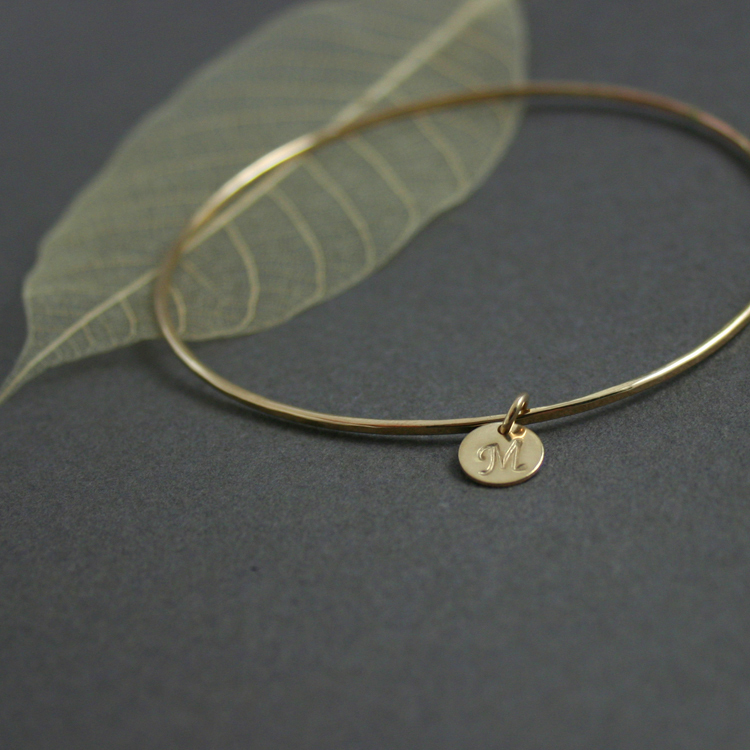 Last December Andrew wanted another simple hammered bangle with an initial of their third child; Mary Margaret; a baby girl born in 2016. 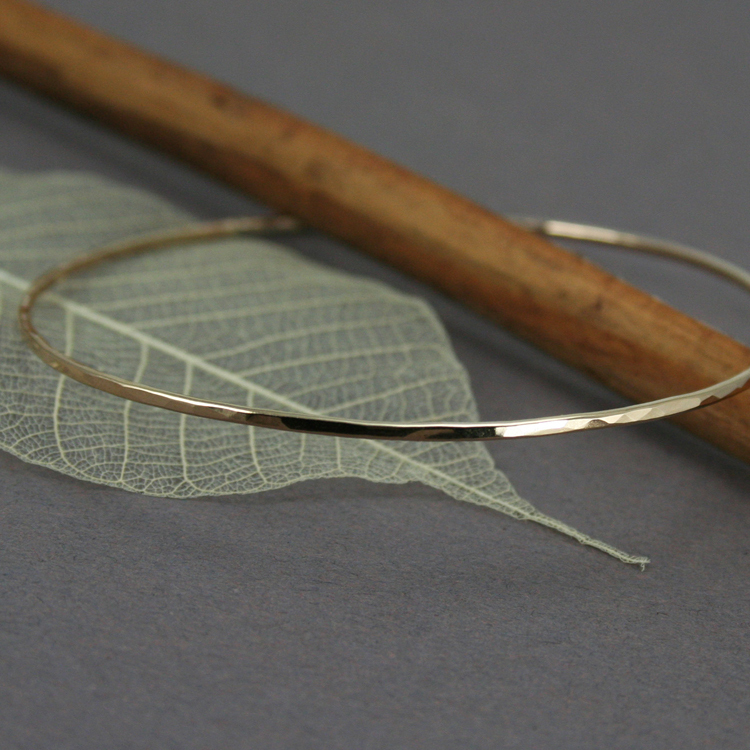 I don’t know about you but I feel inspired about this sweet tradition and knowing my work is so meaningful for people gets me going and reassuring that jewelry is not just a vain piece of metal. For many it’s a symbol of love, commitment, friendship, tradition, unity and more. What are your thoughts? Please don’t shy away and comment below these photos. Get notified by email when there's a new post, or you can subscribe to the RSS feed. Don't forget to catch us on facebook, instagram, and pinterest too! Isn’t it Lydia? 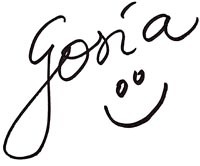 Thank you so much for your comment! What a sweet story! I really like the tradition of milestone bracelets. Lucky you to have been chosen to be part of that couple’s story!